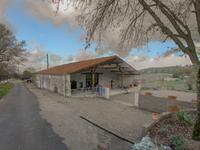 Great view with this transformed barn, underfloor heating, large kitchen, bright and tiled. 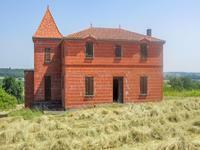 Gaze out over the rolling hills of Lot-et-Garonne from this house that was originally a barn: . . . 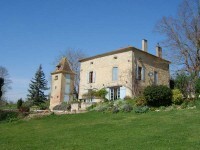 This old stone house in SW France has accomodation on 3 levels and is recently modernised. . . . 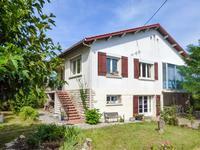 Village house plus separate gite, large garage and pool, walking distance to pretty hilltop village. 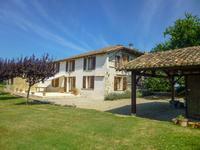 Spacious property situated in central Lot et Garonne in the pretty village of St Pastour with . . . This land has stunning views of the surrounding countryside. With planning permission granted . 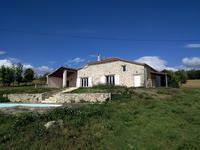 . .
Stone property with detached large stone barn only 5 mins from small town with restaurants, shops and weekly market. Large, substantial 3 bedroom property in need of some updating. It has an attached small barn . . . Located in the hills to the north of Villeneuve-sur-Lot, with a clear view over the sunflower . . .
Light, spacious 4 bedroom house divided into 2 independent apartments, set in large established garden on outskirts of lively village. Large, well maintained property with flexible accommodation, scope for 2 independent living . . .
Heres is an opportunity for you to put your own stamp on an impressive new build. In a . . . Beautifully renovated house for sale on the outskirts of Monbahus, with swimming pool, close to all local amenities. This stunning property has been lovingly restored by it's current owners. Keeping all . . . This is a great opportunity to purchase a fully established business with a plethera of . . . Unusual wood house built in 2006 with canadian logs, with large gardens, on the outskirts of . . . Beautifully renovated stone house with immaculate garden and lovely views. Set just outside the town of Cancon, this house is ideally situated in a private location . . . Exquisite property of historical interest because of its unique beam structure/construction, . . .